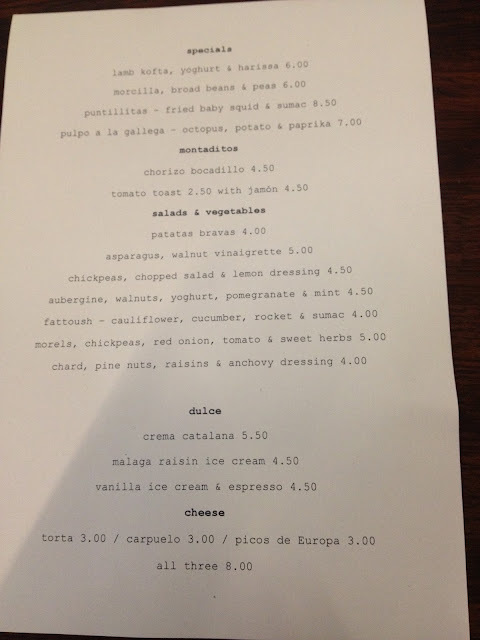 I visited Morito once before (for a special seafood and sherry tasting event last year), but - despite numerous trips to sister restaurant Moro - I never managed to return to try the standard menu. I finally got my chance a couple of weeks ago, at a relaxed Monday night dinner with my boyfriend and his lovely cousin. 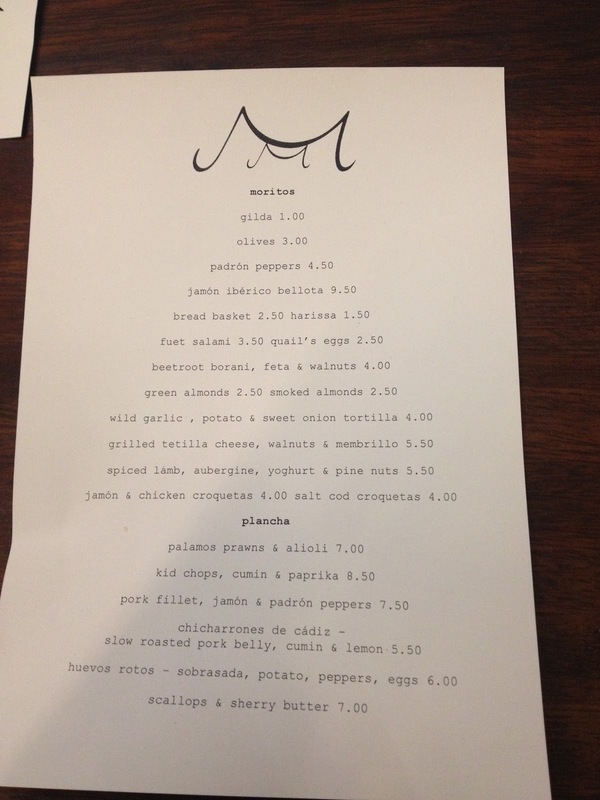 Showing up at 7pm, we had no problem getting a table for three, making Morito a great alternative to Moro if you haven't had the chance to book weeks in advance! (although it's still pretty busy later in the week). 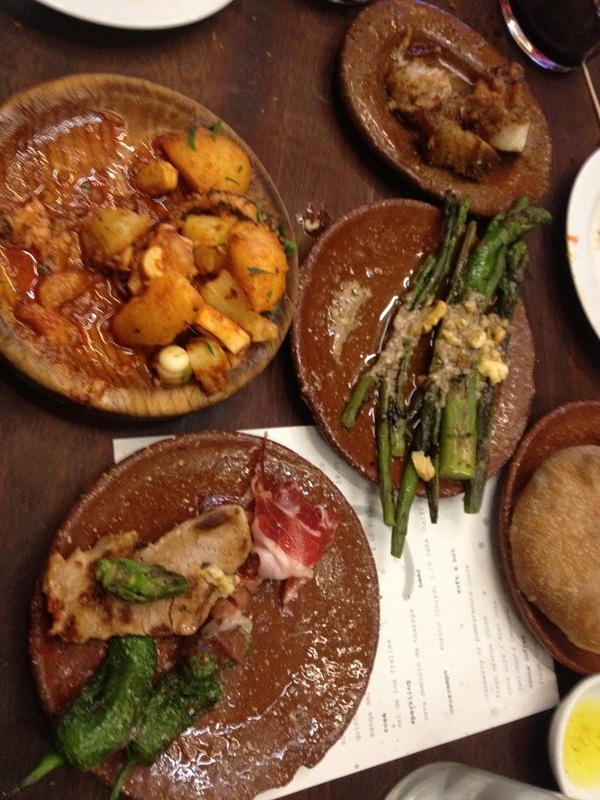 Morito has a great tapas menu, offering everything from light vegetable plates to hearty egg and potato concoctions; and with the cheerful orange decor, carafes of wine, and somewhat over-enthusiastic application of olive oil, you can almost imagine you're in Spain. The menu changes weekly in accordance with the seasons, meaning that you're always getting the best possible ingredients (and giving you a good reason to go back again and again!). I was enjoying my meal too much to take many photos, but I did remember to snap one or two! The grilled tetilla cheese with walnuts and membrillo was probably my favourite dish, the decadently oozing cheese pairing perfectly with the sweet, grainy membrillo paste. 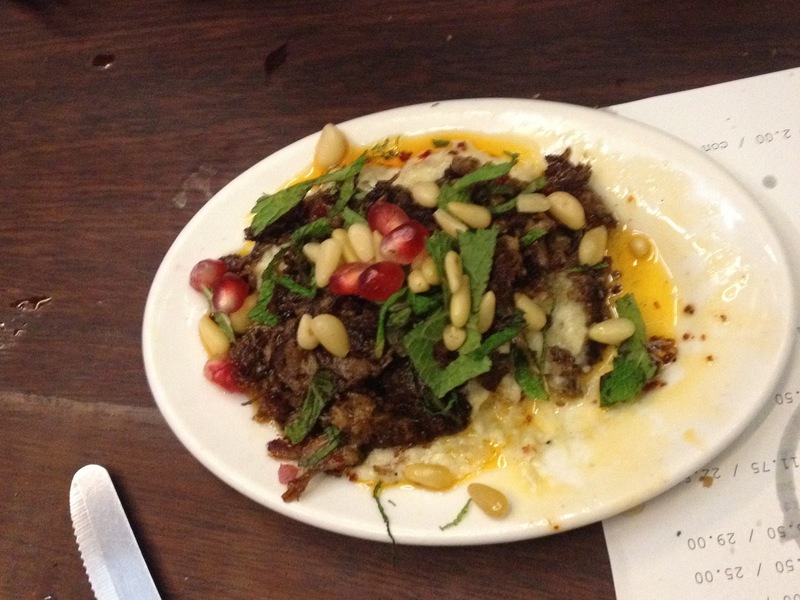 The spiced lamb with yoghurt, aubergine and pine nuts was another winner: flavourful shredded lamb, paired with tender, buttery aubergine, sweet pomegranate seeds and toasted pine nuts. Delicious. The other dishes went down equally well: shell-on king prawns with tasty aoilio dressing; griddled asparagus with walnut vinaigrette; pork fillet coupled with with jamon ham and sweet Padron peppers; and chicarrones de cadiz (crispy chunks of slow-roasted pork belly flavoured with cumin and lemon). 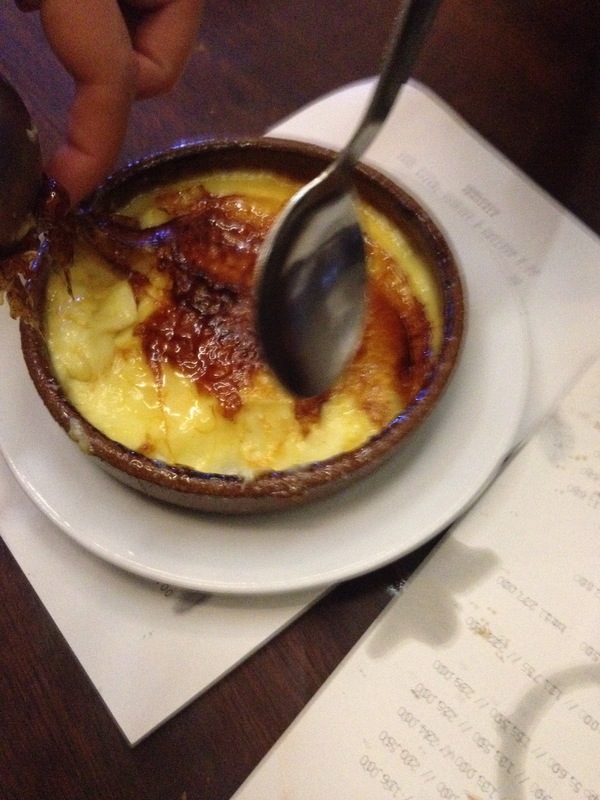 And the desserts - creamy vanilla ice cream topped with a scattering of plump raisins and drowned in sweet sherry, and crema Catalana (a Spanish take on creme brûlée) - were excellent. I've had the former a few times before at Moro, and it was already a firm favourite, but the latter was also exceptionally good; a smooth and deliciously rich egg custard topped with a thin layer of crackly caramel.